A sewing machine and a new Bapron! – Have a fun day! A sewing machine and a new Bapron! A little back story. I inherited a sewing machine! I vaguely remember taking a sewing class 24 years ago, where I made an apron and a pot holder. Maybe being a daughter of a seamstress helps because for some reason, I can sew! Who knew?! 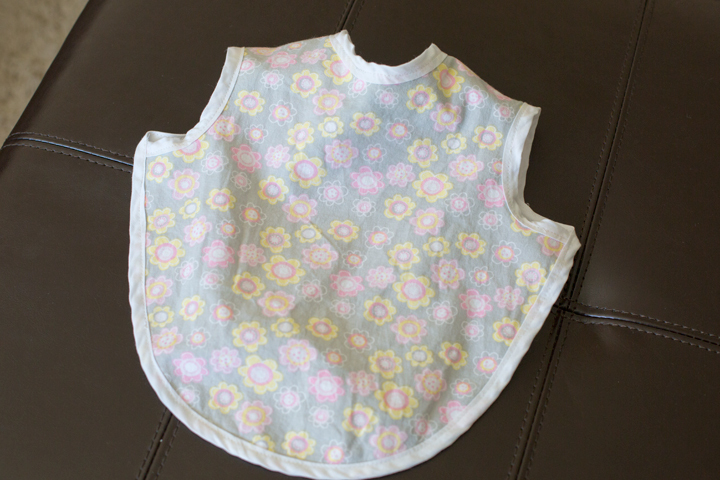 I decided that my first project would be a bib! No, not a bib, a Bapron by http://www.craftinessisnotoptional.com/. 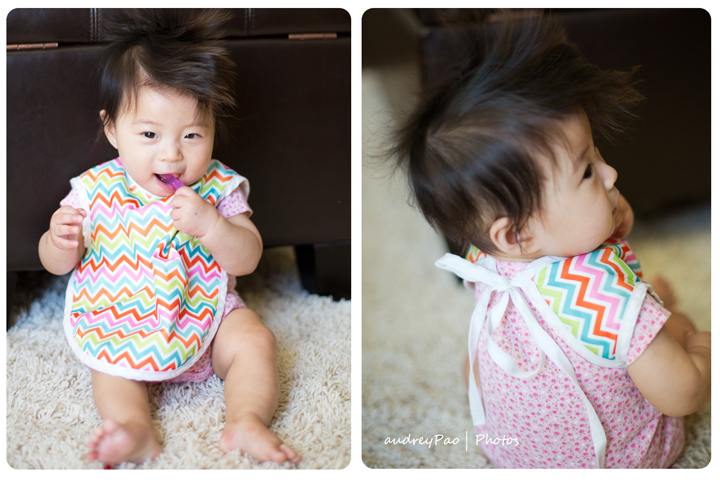 I’d love to take credit for the designing this awesome bib but I’m not that creative. I did a Pinterest search and got my inspiration. You can buy the pattern and tutorial for $6 but I am much too cheap to buy so I traced a onesie and eyeballed it. Let me tell you, it is worth the $6 because after the time spent on drawing the pattern and doing a mock piece, I totally wished that I had just bought the tutorial/pattern. After all, the extra time spent could be used for sleeping! So if you are interested in making this, here’s the link to the Bapron tutorial. I made it reversible. 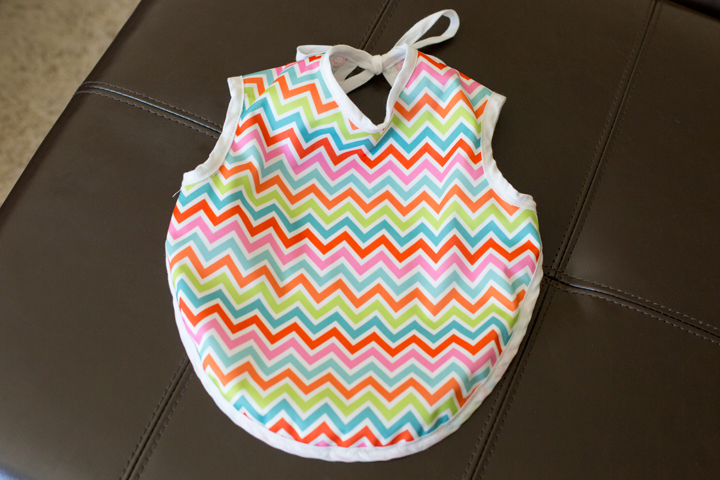 The Chevron side is with PUL fabric for eating and the flower side is cotton for collecting drool. Here’s the other side. And here’s my little model! I love it! And, I think she loves it too!